So you’re a mobile app developer and you’d like to get some exposure. 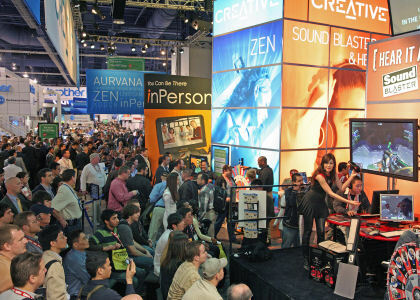 CES with all of those attendees and news coverage would seem like a great place to get some of that exposure, and for the second year, CES will host the Mobile App Showdown in 2011. And it will only cost you $1,000 to enter your app submission ($800 if you submit by July 15, or in other words, one week from today). So maybe not the kind of deal that independent, budget-minded app developers are looking for, but if you think you have a killer app and have the resources to risk a $1,000 on the chance that you might not even make it as one of the 25 semi-final apps, with only the top 10 getting on stage at CES. However, you will get “write-ups, screenshots and a “Download Now” button on the Mobile Apps Showdown website” so that’s something. Beyond the grand prize winners (chosen from a live audience “applause-o-meter” and one from online voting), winners will be chosen for Android, Blackberry, iPhone, Symbian, and Palm Web OS (if that still exists by next January…). So if you get to the final stage, you’ll most likely walk away with something. An iPhone app called Clixtr won the live audience award at 2010 CES and a Blackberry app called Gwabbit won the online audience award.